In the desert of southern Utah, a very excited young man yelled out to me as I walked into their camp. “I got spooned!” I laughed and congratulated him. Somehow, that just didn’t sound right in the context of a wilderness therapy group. But spooned he was, and it was a good thing. He proudly showed me his new wooden spoon. We admired it together. I gave him a little advice on how to care for it to make it last longer. When the group comes together to make a new student feel welcomed, appreciated, and included; they give the newcomer a spoon. Perhaps the new arrival traveled across the states or even from out of the country, was dropped off in Enterprise, Utah, given new clothes and gear, and was driven for hours to the nethermost parts of the Great Basin desert and dropped off in a strange group of people. All of this can be a little nerve-racking. In addition, they have to navigate all those new relationships with peers and staff they’ve only just met. 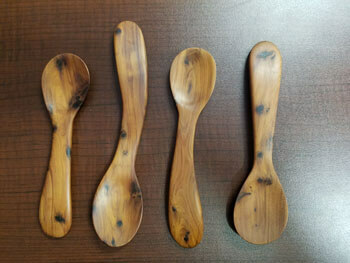 Little does the newcomer know that the staff or students have spent an hour or so carving a wooden spoon. The group welcomes the new arrival with a Spoon Ceremony. [Note to Nate: Link to article on Spoon Ceremony.] He receives the spoon as a welcoming gift. When the opportunity presents itself, the group circles up. People introduce themselves if they have not had a chance to do so earlier. The person leading the group holds out the new spoon and once the focus is on the ceremony, they begin to speak. The idea is to place an intention in the spoon for the new group member. One may say, “My hope for you is that you nourish your spirit out here as you nourish your body with this spoon.” Then, they pass the spoon. The spoon makes its way around the circle until the student places their own intention in the spoon. After the ceremony, the anxiety that the newcomer doesn't feel as anxious as before. The new, strange environment does not feel so intimidating. The new student has a very critical piece of gear that they use multiple times a day. 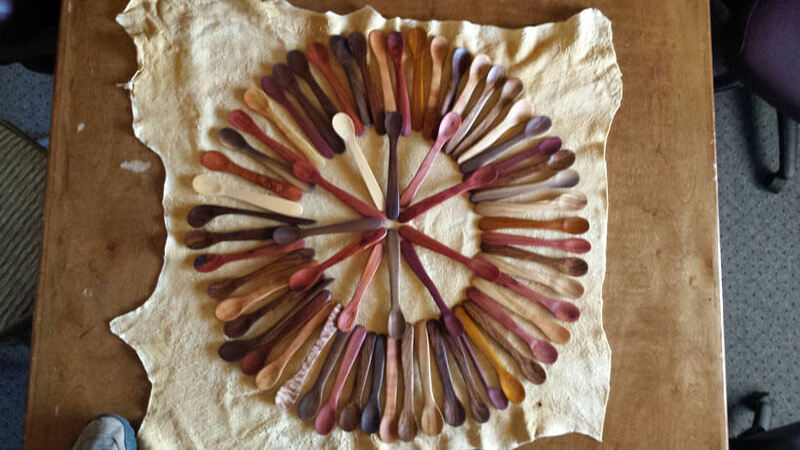 Wooden “wildy” spoons are a central part of shadow boxes and little shrines throughout the world dedicated to remembering the wilderness experience.